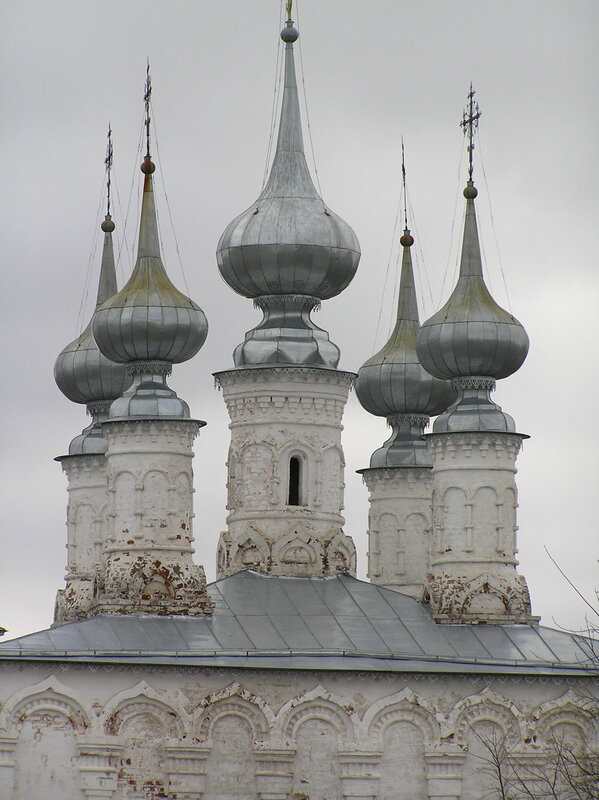 In 2005 Ruby and I spent the month of April in Russia. We visited with Ian's wife Marina — and her son Max — in Saint Petersburg. 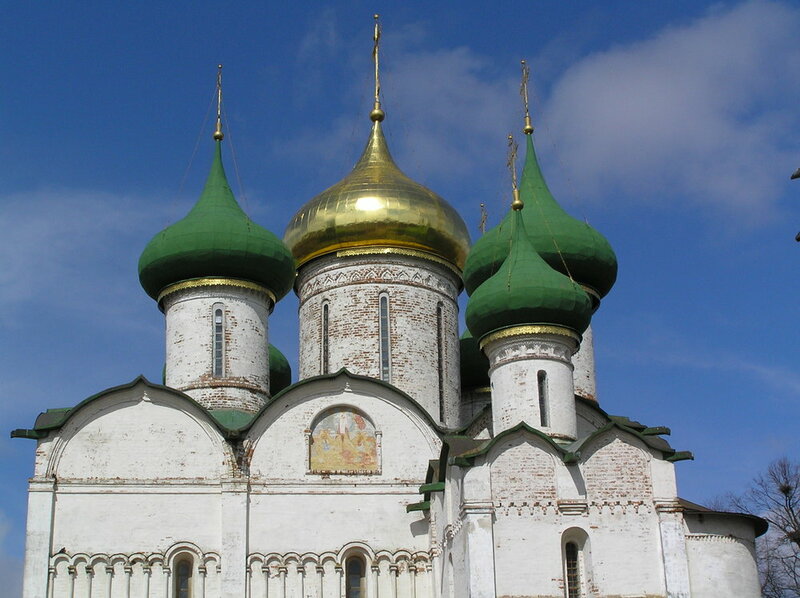 We also took a side-trip to Moscow and the nearby towns of Suzdal and Vladimir. 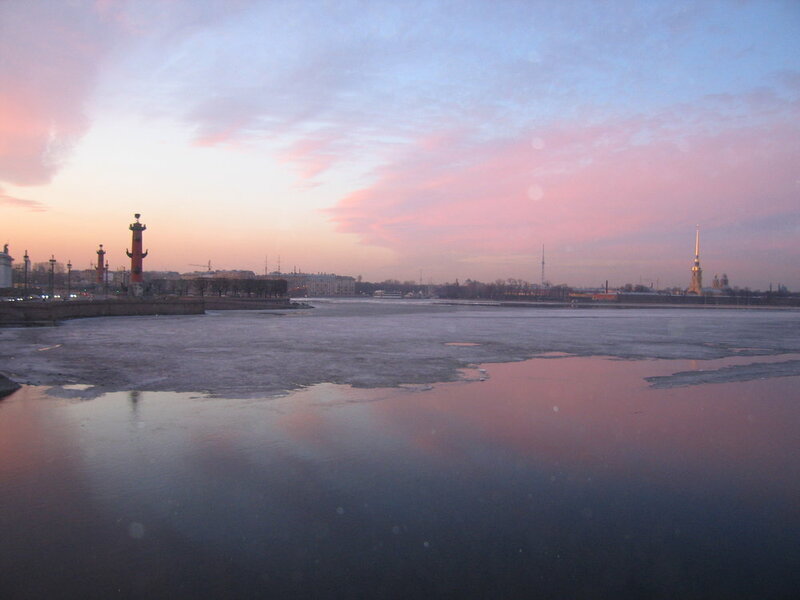 The Neva River runs through St.Petersburg. The April weather is turning the surface ice into water. I read that the subway tunnels are so deep they could double as fallout shelters. We found many excellent cafés — great places to escape the cold weather! Is it stereotypical to note their contentment — Marina looking down at her plate of blinies in St. Petersburg and Ruby about to dig into her Beijing duck in Moscow?